Try this terrific marinade the next time you grill steak; it adds so much flavor and helps to tenderize tougher cuts of beef. Container:Large glass bowl or large plastic food storage bag. 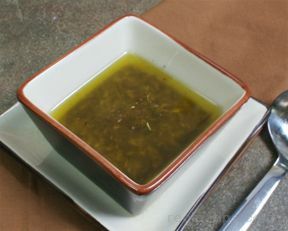 Combine all of the marinade ingredients in a large glass bowl or a large plastic food storage bag. Add your favorite beef steaks to the mixture and allow them to marinate in the refrigerator for at least 2 hours (overnight works best for the toughest beef cuts). 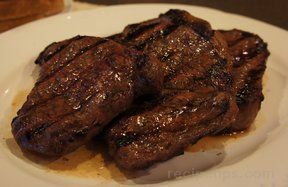 Remove the steaks from the marinade and grill steaks to the desired doneness. Note: do not reuse the marinade; discard it after the steaks have been removed. "The best marinade I have ever had! I use it all the time now and even the toughest meat comes out tender and juicy when I leave it in overnight. Definitely give this a try!" "My only complaint is that it takes ALOT of this recipe to feed 5 people...however it is SERIOUSLY worth it!!! The best marinade I have ever had, and my meat and potatoes Texas husband agrees! This recipe is good for 1 8oz. steak."